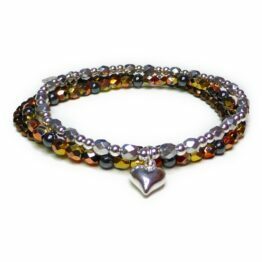 Our Glitterball Collection brings together faceted fire-polished Czech glass, hematite, sterling silver, gold filled and rose gold filled beads with a choice of pretty sterling silver charms. 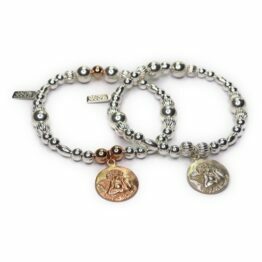 Each bracelet in our winter collection is designed to stack with the others or your existing pieces and is guaranteed to add a little extra festive sparkle to your day. 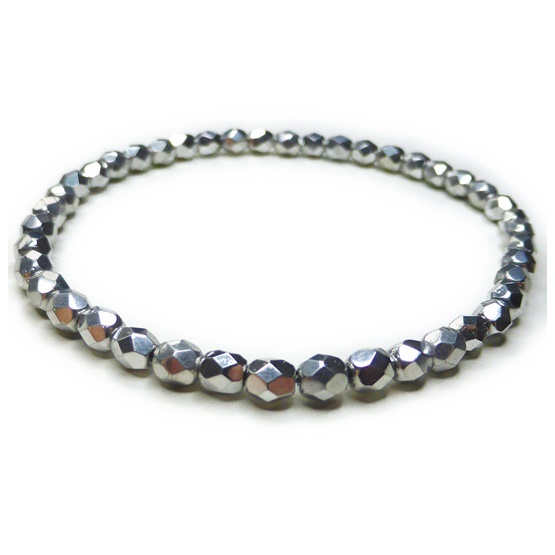 This sterling silver ball & hematite glitterball stack features these three gorgeous complementary bracelets: the skinny faceted silver, the mini faceted gold and the hematite and sterling silver ball with sterling silver CZ star charm and our brand tag. 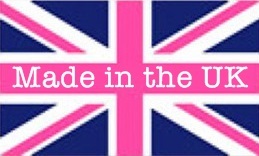 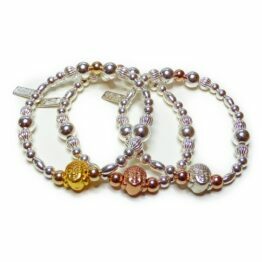 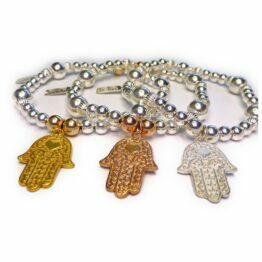 All our bracelets are made using high grade professional jewellers’ elastic to a standard 7”. 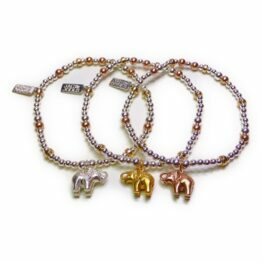 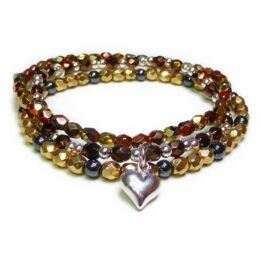 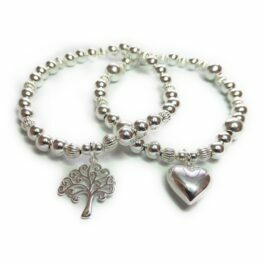 All of our temptingly stackable bracelets are handmade so if you prefer a slightly different design or a custom size, just let us know by email after you place your order. 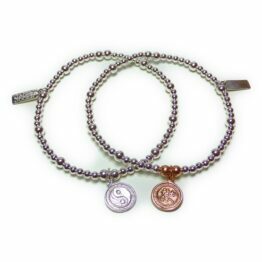 We want you to be completely happy with your bracelets and enjoy wearing them in your favourite stack.